Altfuture was a 1-man company founded by Slobodan Stevic in 2015. Slobodan, a self-taught developer with experience in the game industry had spent a few years solely developing his first game called Switchcars. Soon after Altfuture self-published Switchcars the following year to amazing player reception, it inspired team expansion and development of another project. The trio that started Derail Valley consisted of Slobodan Stevic, Nenad Ognjanovic and Ivan Notaros. They've known each other for many years prior and, having shared the passion for games, technology and vehicles, shared a brief idea of creating a "next-gen" train simulator in the summer of 2015. The idea was then reignited next year after the release of VR headsets, which further fortified the vision. Having set a small-scale plan for the game, the team began spare time development on Derail Valley, gradually turning it into a full-time involvement over the following months. By the end of the year, maximum effort was put into getting the game ready for MSI VR JAM, which required making the entry available for free, online. On December 28th, 2016 the team learned that Derail Valley has won the 3rd place worldwide on this jam, securing an award of $15,000 which they dedicated to further continue development of the game. 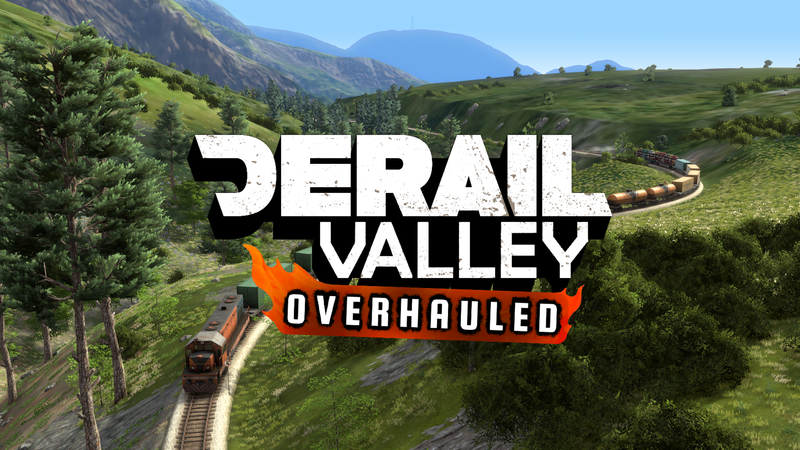 Following overwhelmingly positive reception of the now publicly available free demo, the team went to develop Derail Valley into a greater-scale project that they originally dreamed it to be, now with aim to innovate both train simulators and VR simulataneously. Already, a community of fans sharing the same vision for the game was growing, however after Notaros left the team, project went through several turbulent months of missing deadlines, re-organizing and looking for investment, changing its original release date plans. Eventually Nenad and Slobodan developed a business plan and got the project funded by Serbian Innovation Fund, securing team expansion to five members and one year of development. Over the following months the team has been expanded with two new programmers and an artist, and the game was almost entirely rewritten to allow for large worlds, walking outside, item interaction, non-VR controls and other unique features not present in the demo. Rather than being released during this fragile process, the game was instead made available to a small team of closed beta testers, consisting of active VR and train simulator enthusiasts as well as real train drivers. During this period the game was updated almost every week and actively reiterated with focus on tester feedback and new features. In the final month of 2018, Altfuture announced the Early Access release date to be January 18, 2019. "The Winners of MSI's Global VR Jam Include Block Rocking Beats, Mass Exodus and Derail Valley"
Altfuture is an independent team of five developers located in Serbia, devoted to creating bold and innovative projects for the world. The company is known for its two games, Derail Valley and Switchcars. More information on Altfuture, our logo & relevant media are available here.